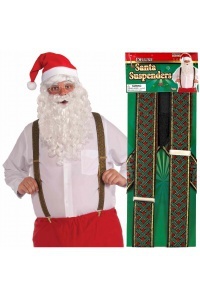 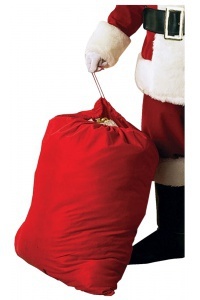 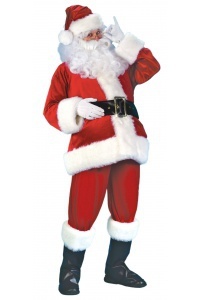 Our lightweight Santa suit is made of flannel and includes a hat, coat, pants, belt and boot tops. 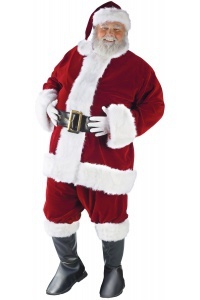 This Santa Suit comes in adult sizes Standard, X-Large. 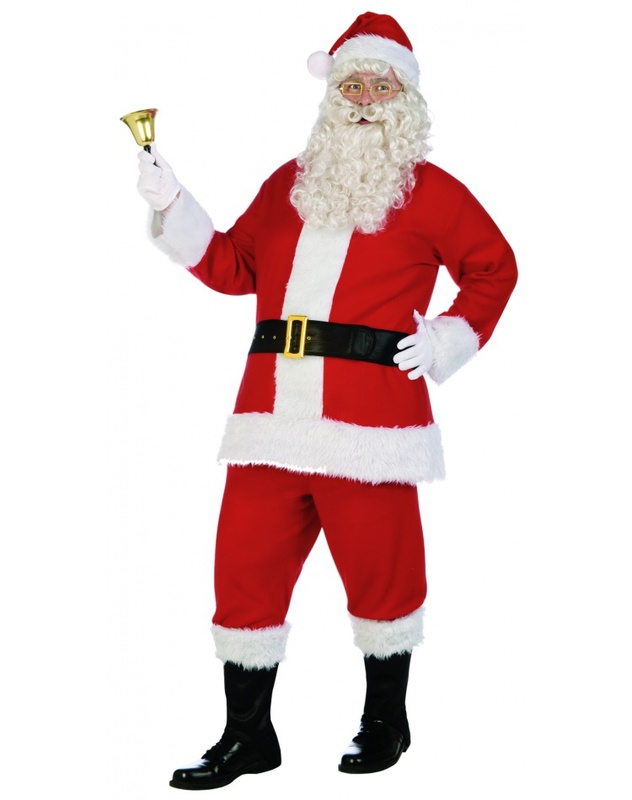 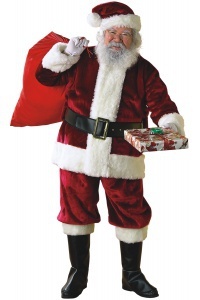 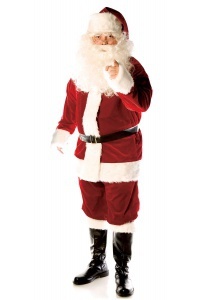 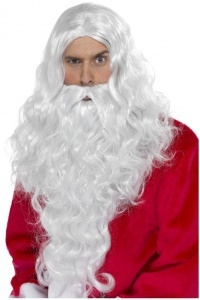 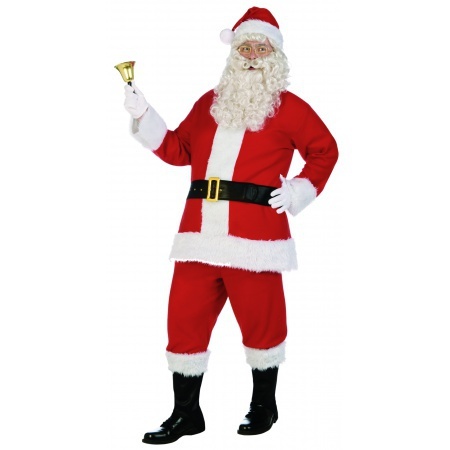 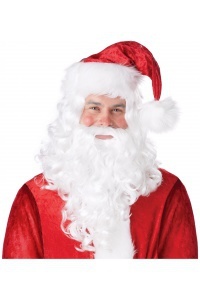 The beard, wig glasses, gloves and bell are sold separately from this lightweight Santa suit.